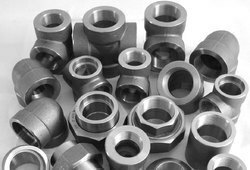 We are one of the Leading, manufactures & suppliers of Socket End Fittings. Easy to fit and requiring less maintenance, our range is highly demanded across diverse industries, such as engineering, automotive and metal. 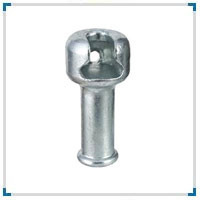 Our company is involved in the domain of manufacturing and supplying a wide array of Socket End Fittings 45 KN To 70 KN. These fittings are available with a high end pull that is required for almost all applications, where pipe ends need to be connected. Easy to fit and requiring less maintenance, our range is highly demanded across diverse industries, such as engineering, automotive and metal.